I had heard mixed reviews on the Infallible Never Fail Lip Colour line. This specific line is supposed to last 16 hours! So imagine my excitement when I found the color Grenadine discounted at Target from $11.99 to $3.58! After feeling giddy about such a deal, it was time to test it out! 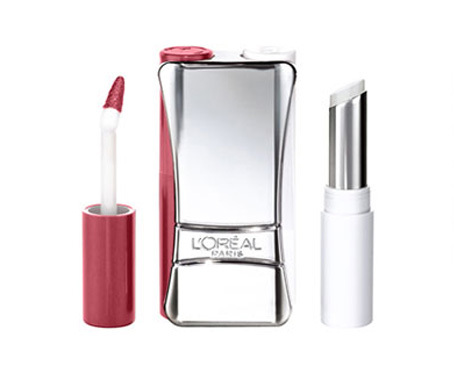 The packaging can act like a mirror for your lip color application. You slide up the lip color from the packaging slide slot. 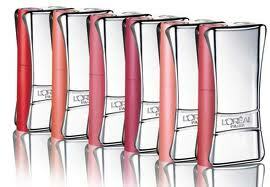 Then you twist off the top to reveal an angled lip gloss applicator. The other side slot contains the conditioning balm to provide a natural shine. You pop off the top for use. You are supposed to put the color on first, allow it to dry, and then put on the moisturizing gloss over it. I didn’t even have a chance to really test out how long it stayed on my lips because it went on so horribly. The glob of lip gloss settled onto my lips in a matter of seconds, leaving a super dry feeling and a crumbly mess! Look, I may not have the most exfoliated lips in the world. But seriously, the color just came straight off of the surface…even on non-chapped areas! And don’t EVEN think about touching your lips together at all. Your lip skin starts sticking together or pulling away from your lips. I attempted this whole procedure several times, with more moisturized lips and more coats of color. 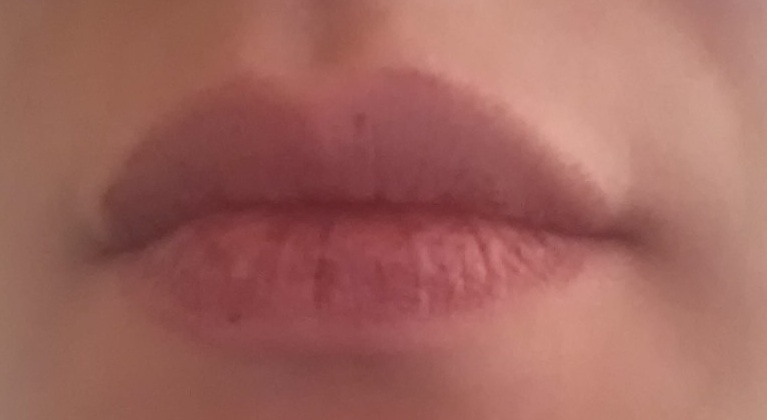 The results were my lips looking like a big, dried scab. This video with itsjudytime on youtube had nice results with the Infallible Never Fail Lipcolour Stars Collection which is inspired by female celebrities and (I believe) came out after the regular Infallible line. I saw that some people commented that they had terrible results with drying, peeling lips. But now I’m curious if the Beyonce’s Red one has a better formula. Because in the video, that color stayed put! Written by: Erica Cho on January 12, 2013.